The Writers' Lens: Three Thoughts about Steampunk! What is steampunk? Simply put – Victorian Science Fiction. Steampunk is a genre of movies and books that takes the possibilities of steam technology and the technology of the Victorian Age and then twists it into a myriad of possibilities. It’s part historical fiction, and part fantasy. But it’s all awesome. 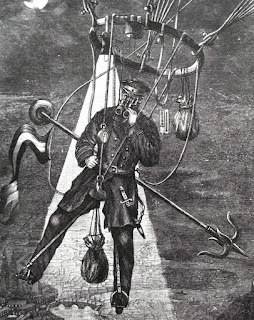 Steampunk is sky pirates on airships, gear technology, steam and steel mixed with corsets and top hats. 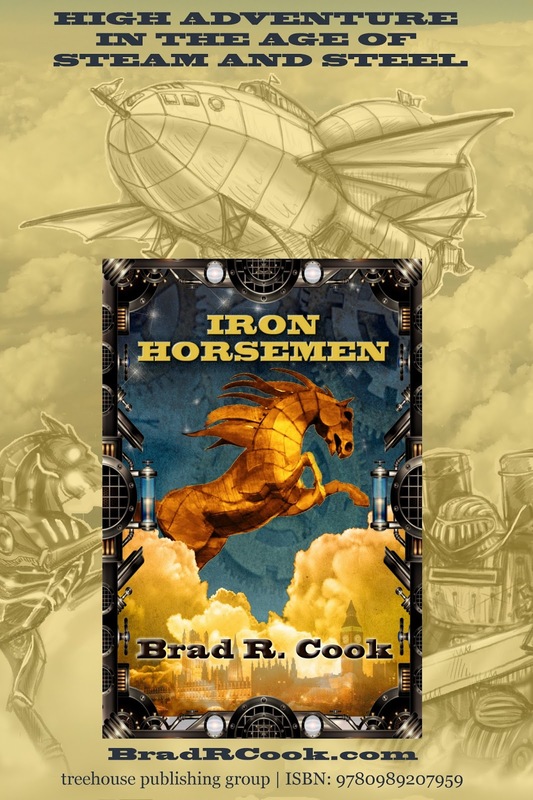 As a steampunk author, I have loved the genre since before it officially had a name, back when it was just Hollywood and authors infusing technology into their historical action flicks. I’m looking at you Wild Wild West. I love steampunk. I love taking what might have been and finding a plausible way to infuse it into my projects. For anyone who doesn’t know about Steampunk and wants to, or for those like me who love all things steampunk – here are three thoughts about the genre. 1 - History is Steampunk! One thing I love to do is go through the patents from the turn of the 20th century. The Victorian age was filled with dreamers who were only limited by their imagination. They came up with so many ideas that we might consider ludicrous but at the time were deemed plausible. Pictured is a German design for a saddle balloon. The designer believed that police would patrol the streets from a balloon, hovering above trouble. Today we have police in helicopters, so he wasn’t so off, but you have to love the ideas. There are so many more, I give a lecture on the great inventions of the Victorian age. You might have seen it at the St. Louis Science Center’s steampunk event but if not no worries I will be holding it again. Steampunk is all about immersion. The many festivals around the country are about transporting people back into the age of Steampunk. We dress in period clothing, though adjusted to make it even cooler than history. Books and movies transport us to a variety of worlds. One of my favorite parts of Steampunk is that no two books, movies, or games are the same. Each is a unique world where steam, brass, and gears create the common thread that keeps them all cohesive. It’s not just about the Victorian Age or London. 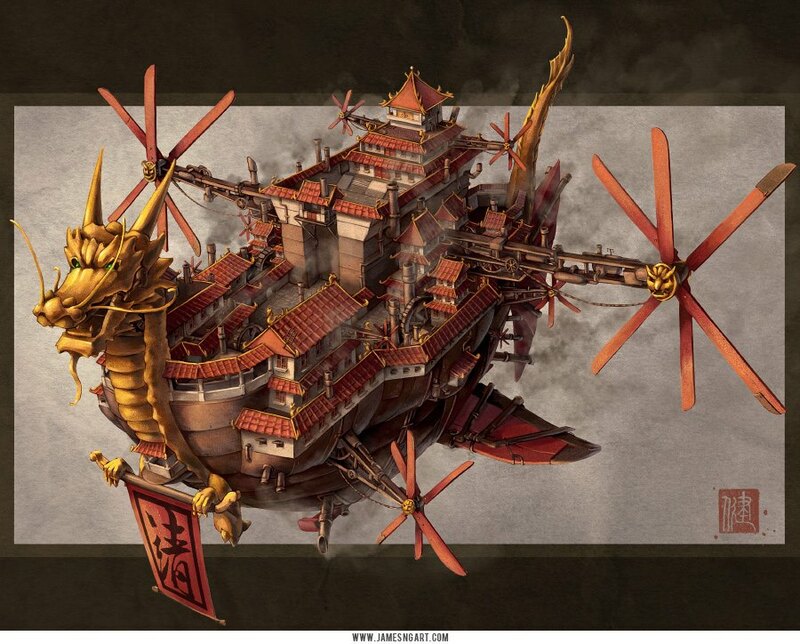 James Ng is one of my favorite steampunk artists. He has this great Chinese steampunk aesthetic and I will fully admit that it inspired part of my next novel Iron Lotus. I wrote the Iron Chronicles as a worldwide adventure. 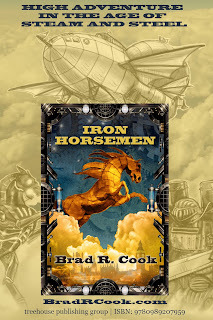 The first book, Iron Horsemen, takes place in Europe. The second book, Iron Zulu, takes place in Africa. The third book, Iron Lotus, coming this fall, takes place in the Himalayas. With a grand ending in America just to make certain I got all the way around the world. Steampunk has gone all around the world. I’ve seen it in India, in China, in Australia, all over America, and of course in Europe and Russia. So it doesn’t matter who you are or where you are – Steampunk can be for you. What’s your favorite part of steampunk, have a favorite author, artist, cosplayer, designer, or movie? Let us know in the comments. The Milli-train from my second novel Iron Lotus. What could be more steampunk than a train with legs! Labels: books, Brad R Cook, history, Steampunk, three thoughts, Victorian Age, What is steampunk?